Math 3 or advanced placement into Math 8. This course is a sequel to Math 3 and provides an introduction to Taylor series and functions of several variables. The first third of the course is devoted to approximation of functions by Taylor polynomials and representing functions by Taylor series. The second third of the course introduces vector-valued functions. 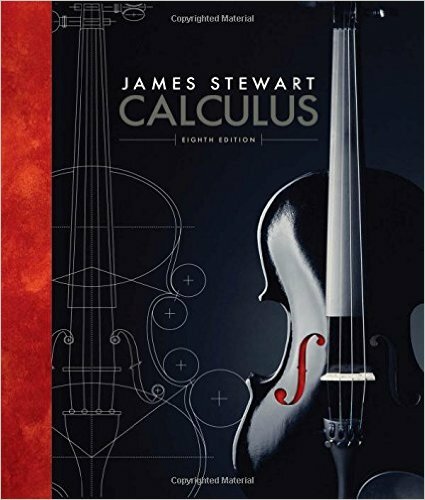 It begins with the study of vector geometry, equations of lines and planes, and space curves. The last third of the course is devoted to studying differential calculus of functions of several variables. Attendance in class is expected. Class participation will be considered in assigning letter grades in borderline cases. It is polite to contact your instructor in advance when you need to miss class. Reading is assigned each class day according to the course schedule. These assignments are intended to help you to stay on top of the material. Homework is also assigned each class day. Information about due dates and grading policies can be found below. We encourage you to discuss your grading concerns early in the term. Please make ample use of the office hours, which offer you one-on-one teaching and provide us with valuable feedback. Also, please make use of the tutorials. If you have a conflict with one of the midterm exams because of a religious observance, scheduled extracurricular activity such as a game or performance [not practice], scheduled laboratory for another course, or similar commitment, please see your instructor as soon as possible. 1.) WeBWorK: Webwork online assignments can be found on the WeBWorK page of this class. Assignments are due every Monday, Wednesday and Friday by 10 am unless otherwise announced. The WeBWorK system will not accept late submissions unless you have made arrangements with your instructor. Your instructor can adjust your individual deadline on a particular assignment in an event of illness or family emergency. Exams etc. in other courses are not considered a valid reason to request an extension. Please plan ahead. 2.) Written homework: Written homework assignments will be assigned weekly and will be posted on the homework page. Homework will be assigned each Wednesday and is due the next Wednesday in class. Late homework will not be accepted except in cases of extended illness. The lowest homework grade will be dropped. For the homework the Honor Principle below applies. Of the two options for the exams the one with the better score will be taken. Our graduate teaching assistant, Pepper Huang will run tutorials Tuesday, Thursday and Sunday from 7:00-9:00pm in 006 Kemeny, focusing on answering your questions on the homework and class material. For maximal benefit, we strongly recommend that you try all the homework problems ahead of time and come with your questions to the tutorial. Tutorials are open to all Math 8 students. You don't need an appointment. Peer Tutoring: The Tutor Clearinghouse of the Academic Skills Center provides one-on-one peer tutoring. The Math 8 study group meets TBA. Cooperation on homework is permitted and encouraged, but you must write up your homework in your own words, reflecting your own understanding. Please acknowledge any collaborators at the beginning of each assignment. Further information can be found here: Honor Principle. A calendar of religious holidays can be found here: Religious holidays. Students with disabilities who may need disability-related academic adjustments and services for this course are encouraged to see their instructor privately as early in the term as possible. Students requiring disability-related academic adjustments and services must consult the Student Accessibility Services office (Carson Hall, Suite 125, 646-9900). Once SAS has authorized services, students must show the originally signed SAS Services and Consent Form and/or a letter on SAS letterhead to their professor. As a first step, if students have questions about whether they qualify to receive academic adjustments and services, they should contact the SAS office. All inquiries and discussions will remain confidential. For further information, see Student Accessibility Services.